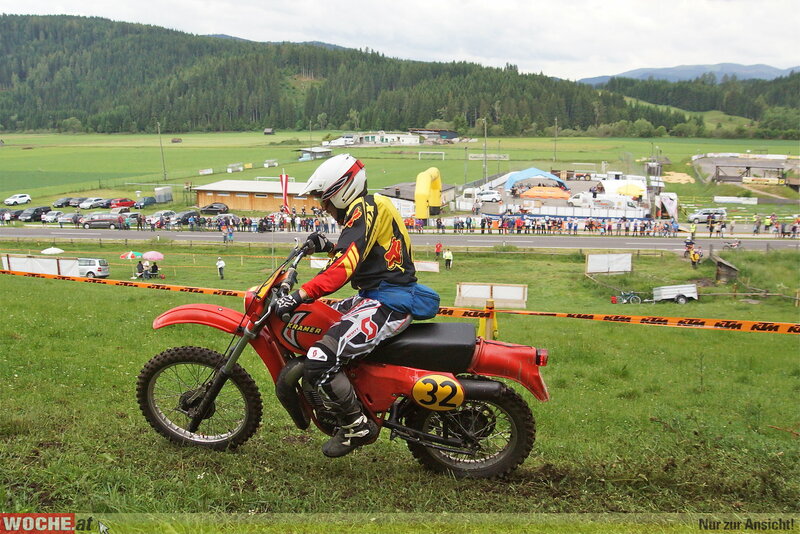 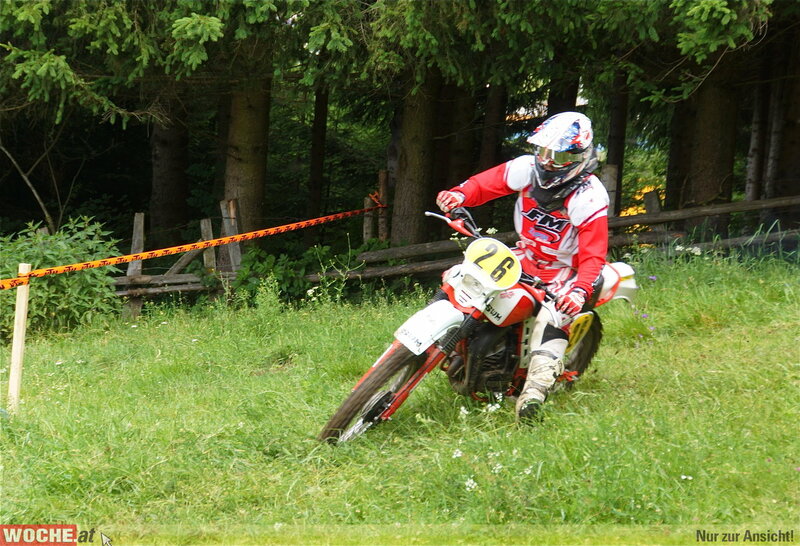 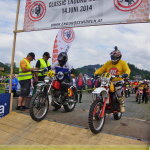 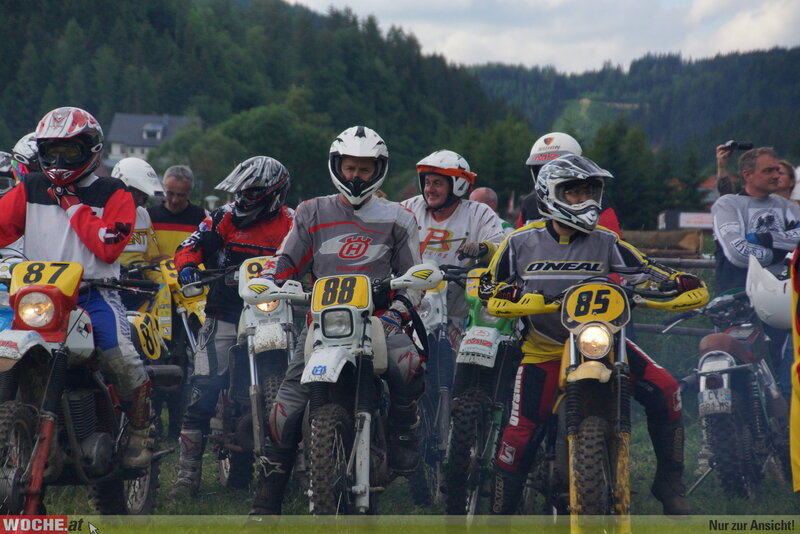 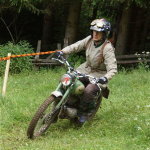 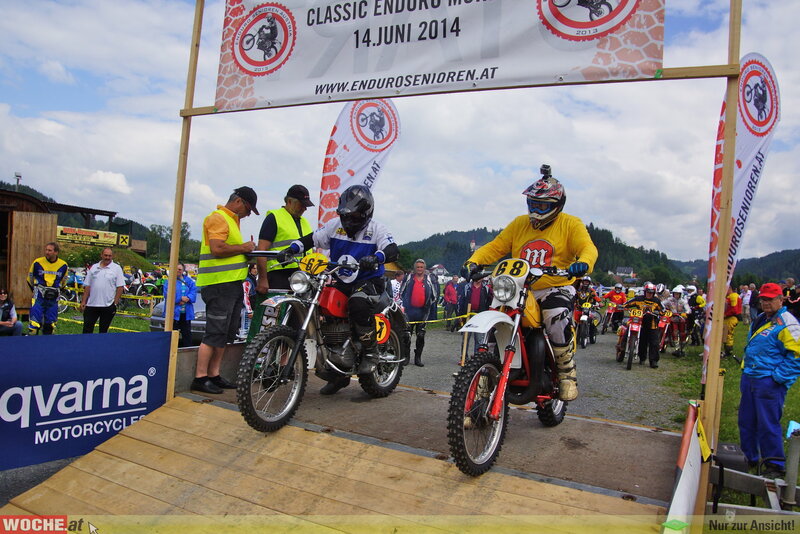 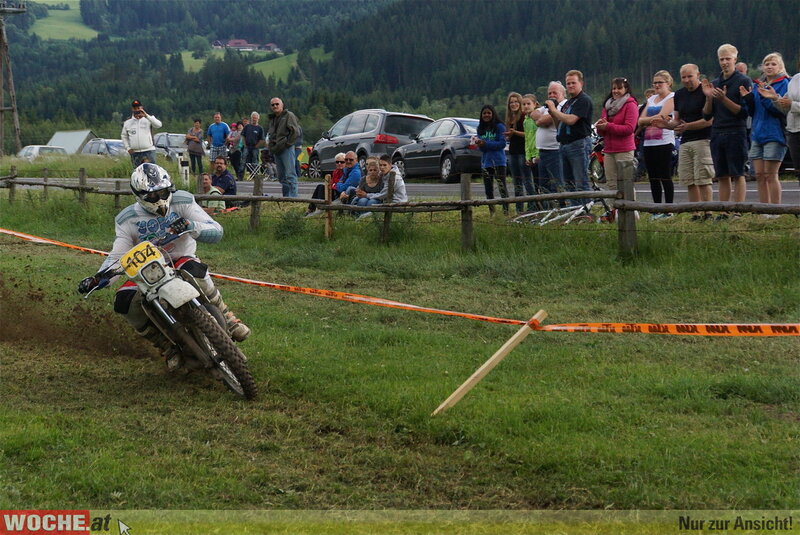 The elite of the European Classic Enduro scene met in Austria for the competitive VINDURO the ‘Muhlen Classic’. 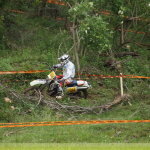 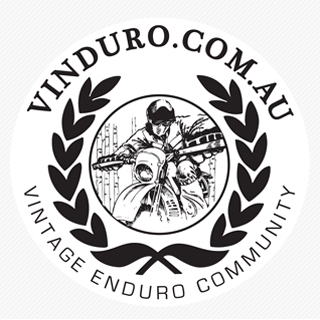 Unlike Australian VINDURO’s the riders were competing for points and positions on a demanding track which was once the venue of a stage of the 51st ISDT, some 40 years ago. 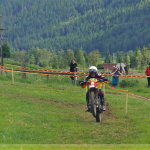 The organizers had expected a turn out of 70 entrants for the second running of the event, however they were blown away when they received 143 entrants from 8 different nations. 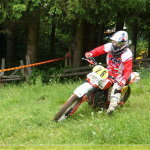 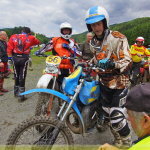 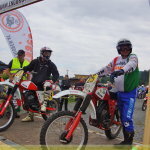 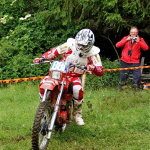 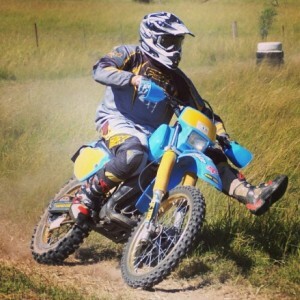 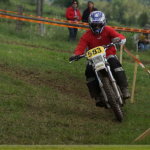 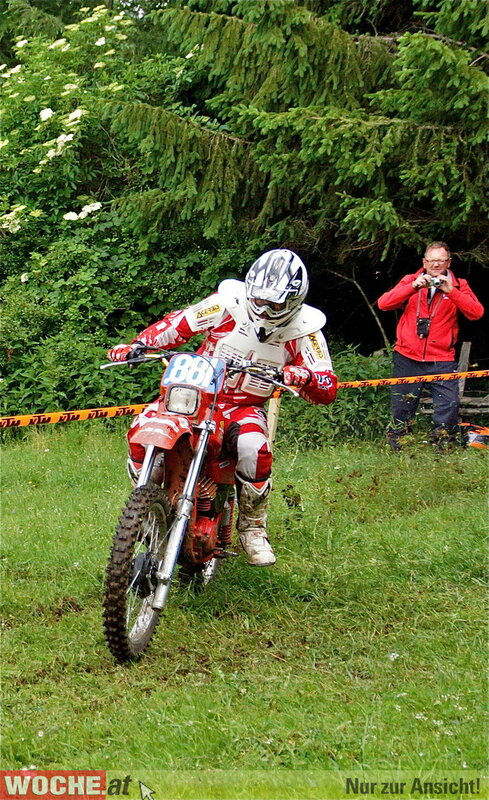 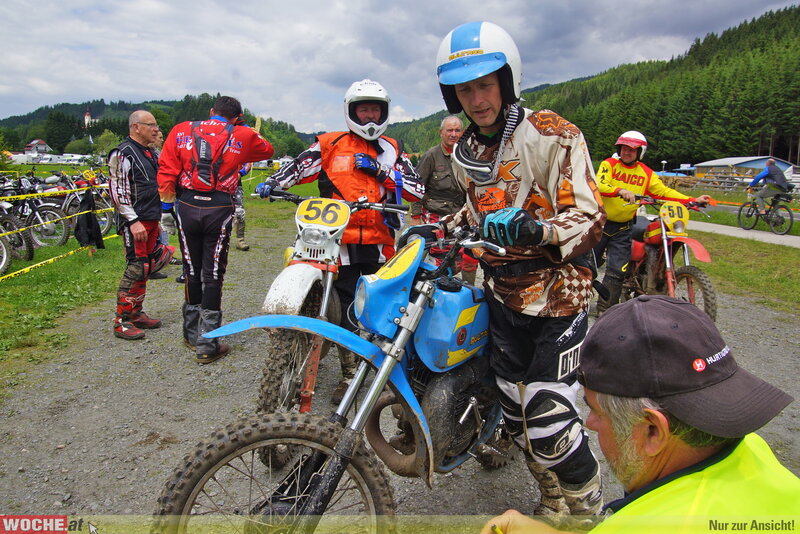 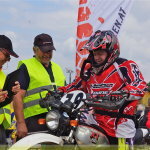 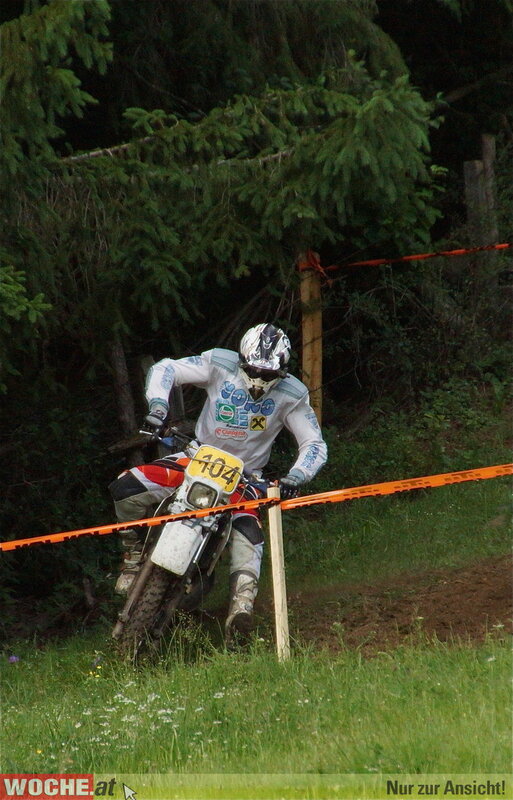 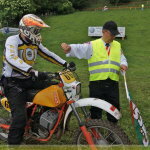 Reigning Enduro champion Bernhard Walzer was on hand along with a swag of elite European riders from ‘back-in-the-day’. 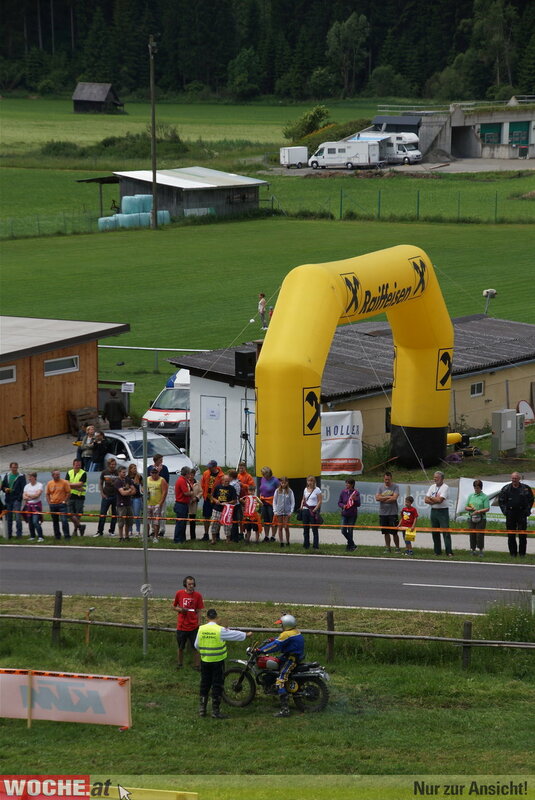 Riders came from near and far including Switzerland, Italy, France, Belgium, England, and more than 60 from Germany! 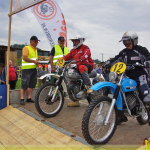 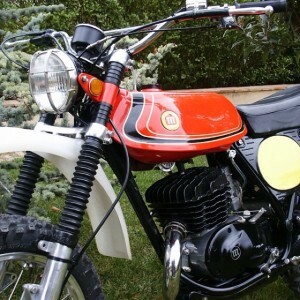 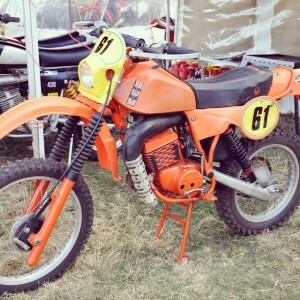 The event guidelines were simple, air-cooled, drum braked “twin shock” bikes were allowed in the ‘classic’ category: whilst there was the ‘modern-era classic’ category that allowed for the slightly more modern technology. 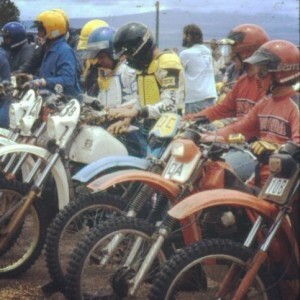 Modern-era meaning upside down forks, water cooling and monoshock suspension. 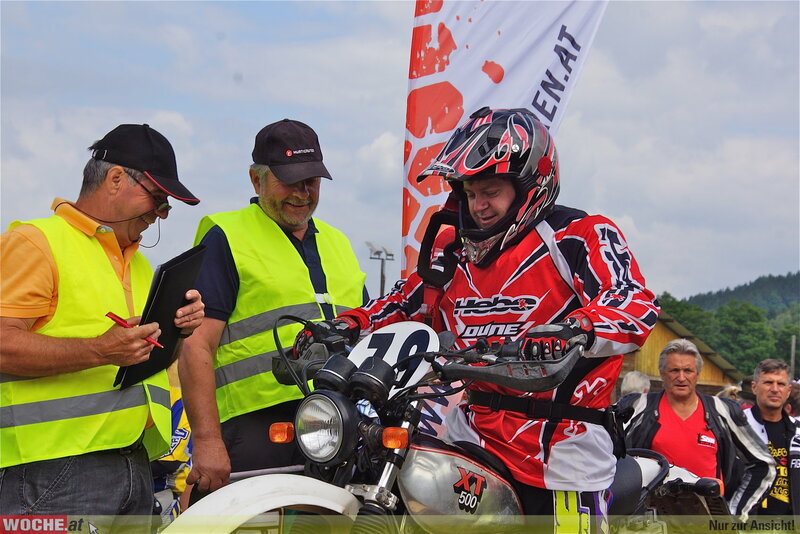 For greater fairness within the different groups there was an “age bonus” which was an age-dependent time credit for riders and bikes. 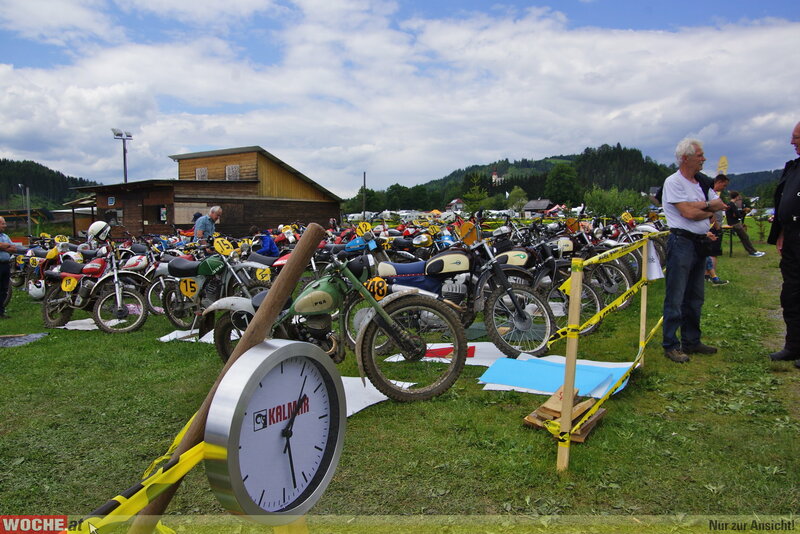 Of course the track was demanding, but the event promoters kept in mind that spare parts for these old bikes are now very hard to find and in setting the course they made sure that it was do-able for all. 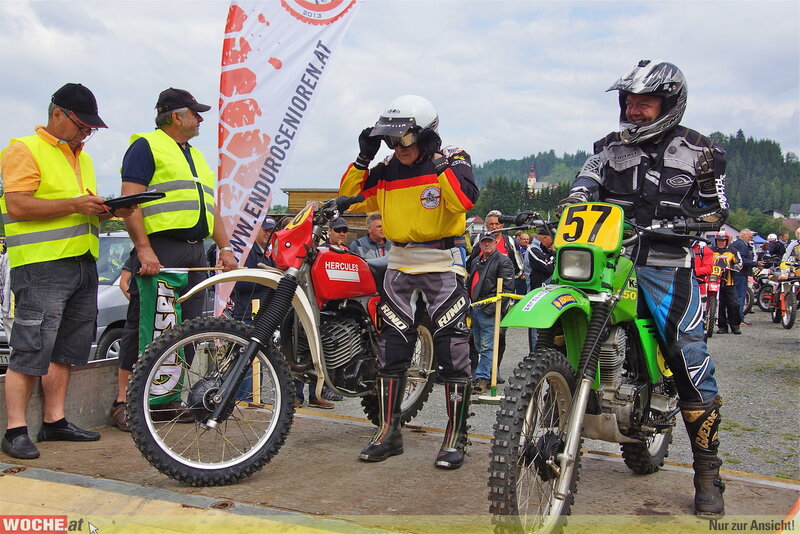 After passing the acceptance test the bikes were wheeled into the parc fermé, the machinery on display was that of museum quality. 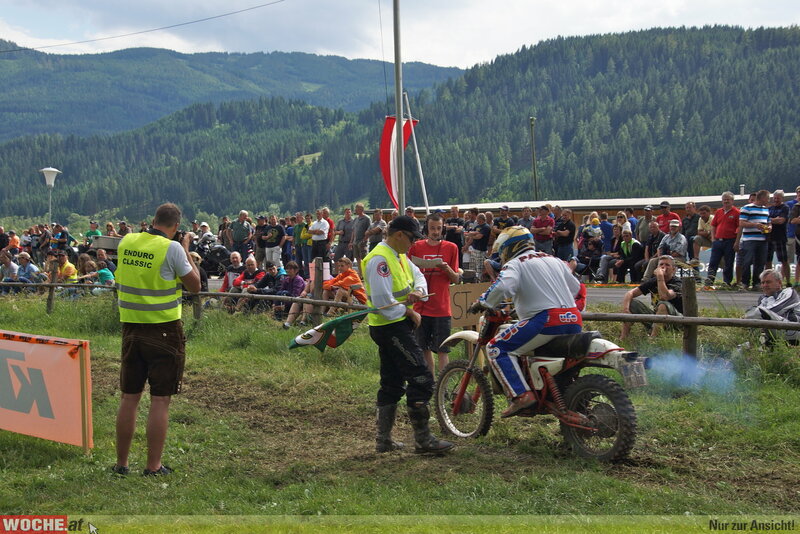 The track speaker called on the first riders to pick up their bikes from the parc fermé and make it to the start line within ten minutes. 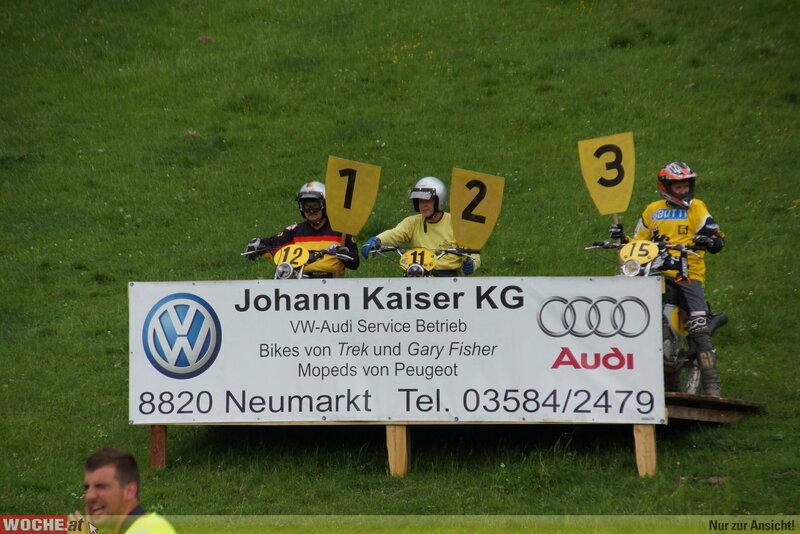 Two riders per minute jointly went on to the track. 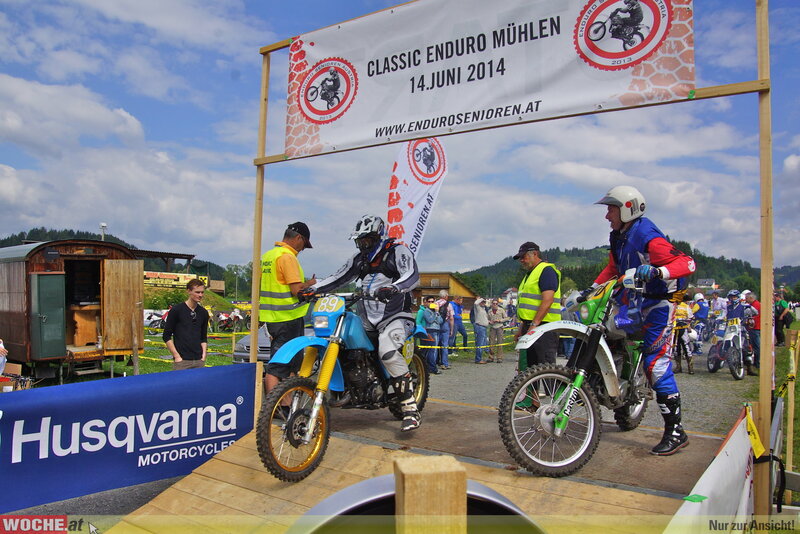 They had to work hard through 50 kilometres of gravel paths and rough mountain terrain. 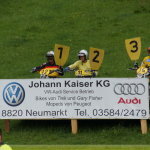 Riders that tired after one lap could spare the second lap without being dropped from the points. 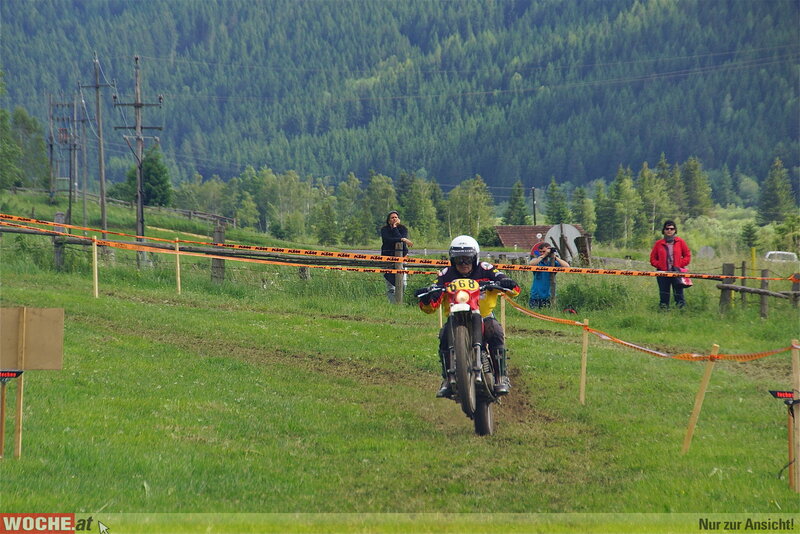 Those riders who only completed one lap were listed in a separate category. 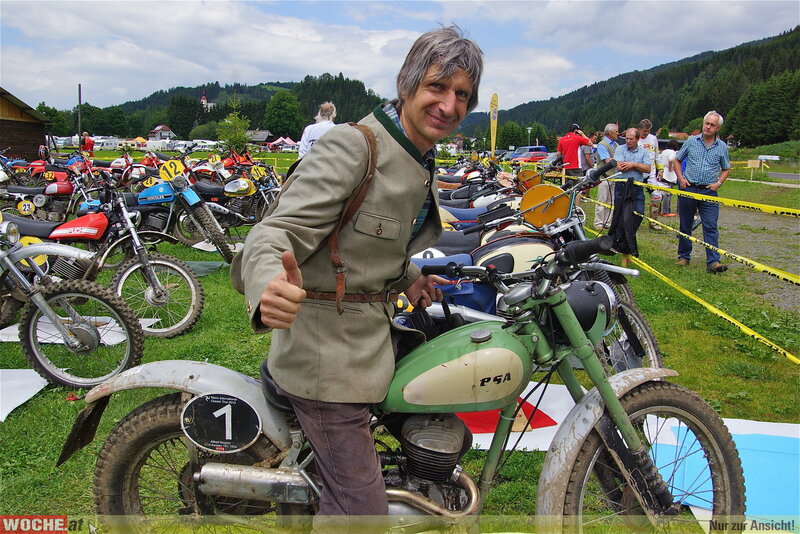 Compliments to the promoter for this “”vintage friendly” idea. 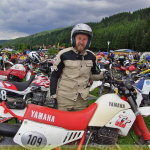 The first milestone was the Tonnerhütte at a height of 1600 metres after some very demanding climbs. 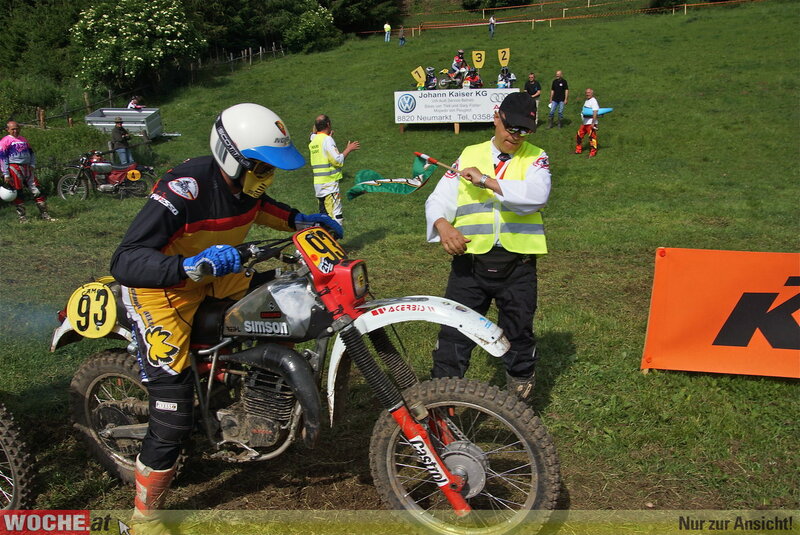 Before the timekeeping began, the riders needed to pass the first special stage which was a steep climb riddled with roots and stones. 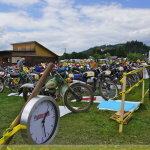 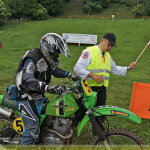 The time designated for the first stage was more than sufficient and enabled the riders to have a breather and check their bikes prior to entering the first time kept section. 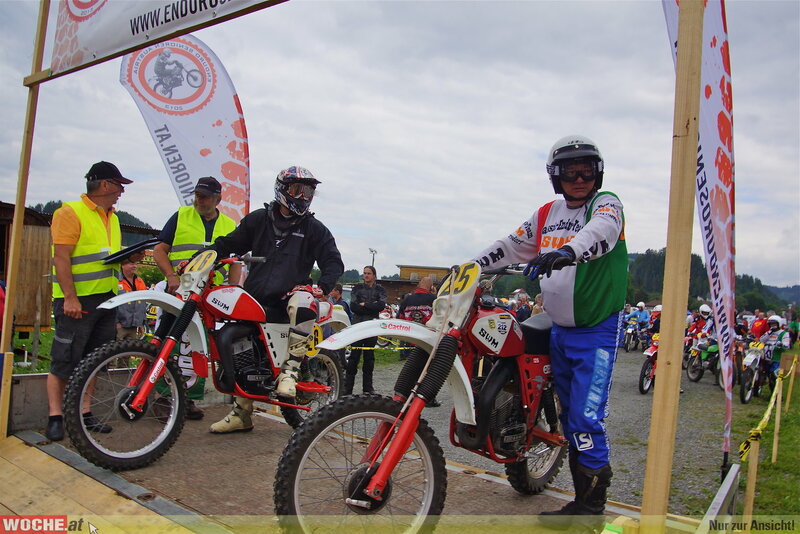 After arriving at the finish area the riders set off to the final stage which was a special test. 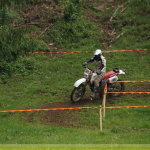 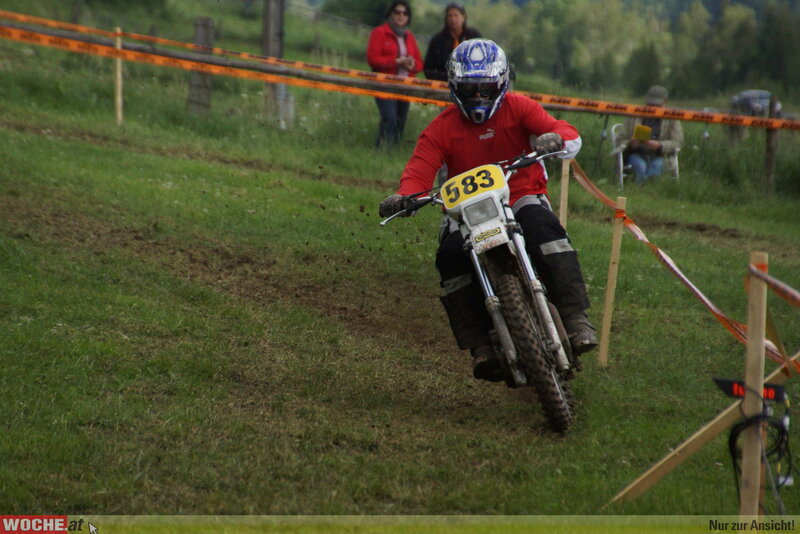 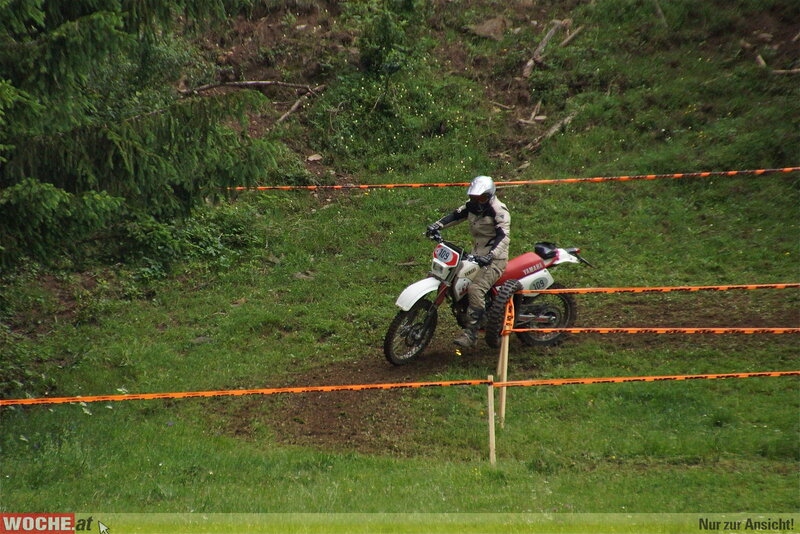 The slowest of the previous tests were the first to start on the sloping meadow, followed by the faster riders. 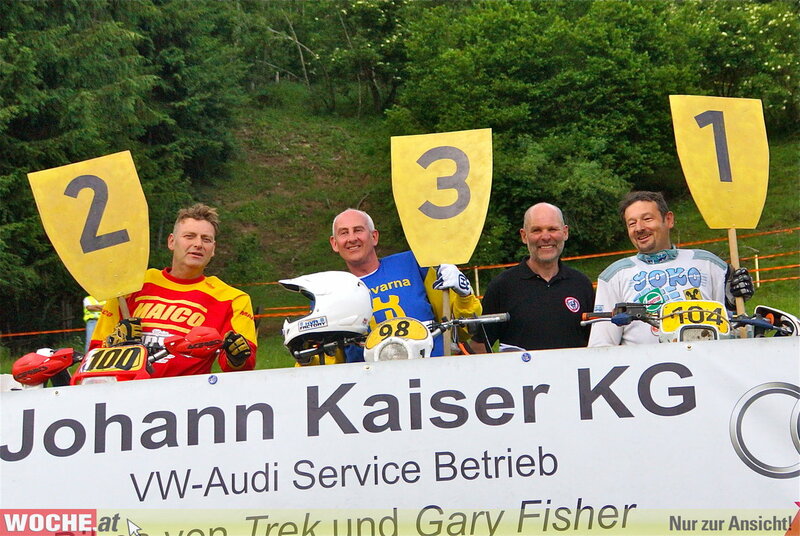 The three fastest riders of the respective class were appointed on the “Leader’s Board”. 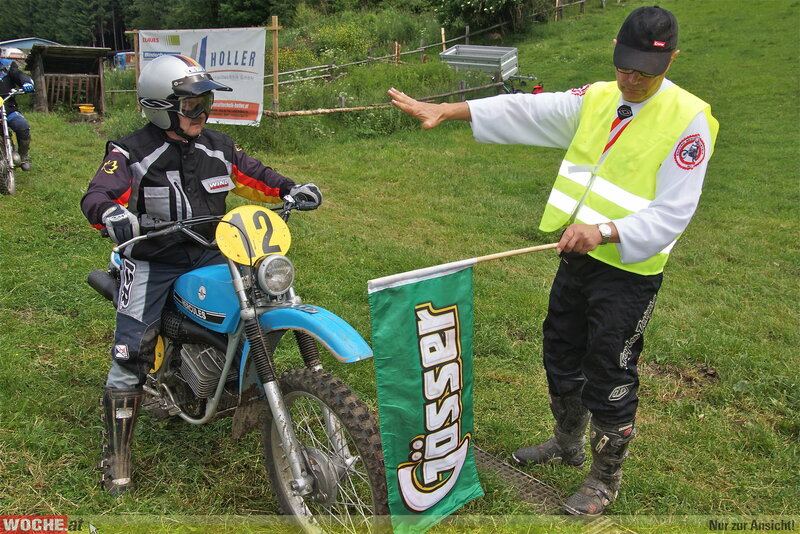 This way the tension among the numerous spectators was guaranteed to the last rider. 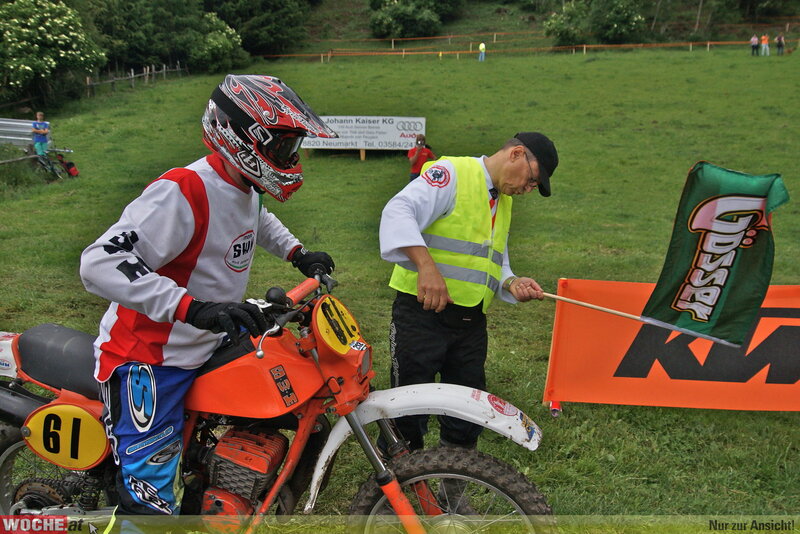 The “Leader’s Board” belonged to the KTM riders. 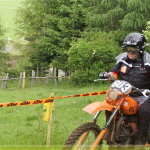 25 KTMs competed in an overall of eight classes – at the victory ceremony four of them were crowned as winners, three other KTM riders on the podium proved that the KTM oldies are still fast and reliable. 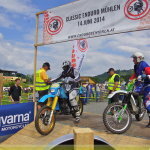 There was a heated battle for the fastest ‘special test’ time between reigning enduro champion Bernhard Walzer and ex state champion Johann Kaiser. 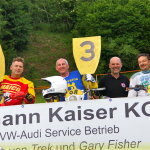 At the end of the proceedings “Berni Waltz” was in front by 7 hundredths of a second, however due to handicap points (calculated on the age of the bike and rider) Johann Kaiser claimed the victory. 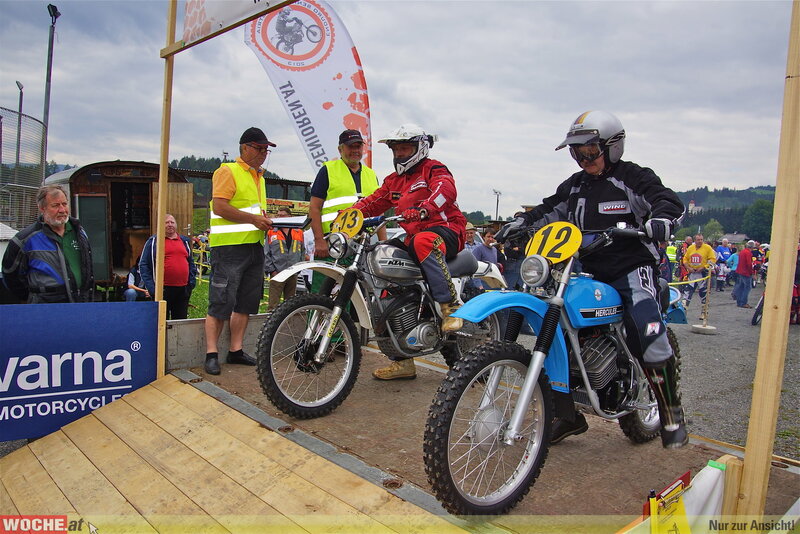 In the classic standings (motorcycles built before 1980) the German riders were miles in front. 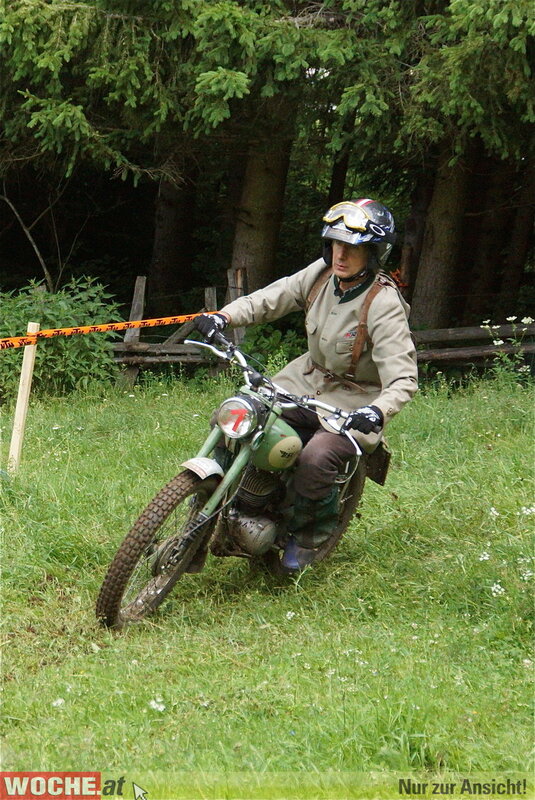 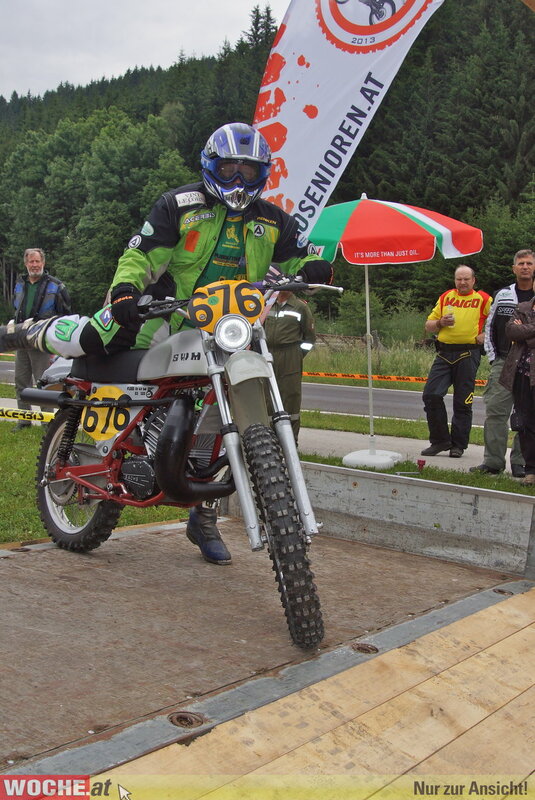 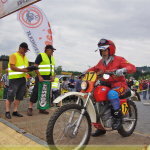 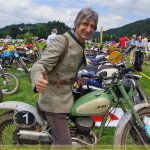 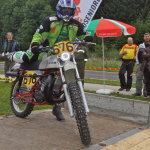 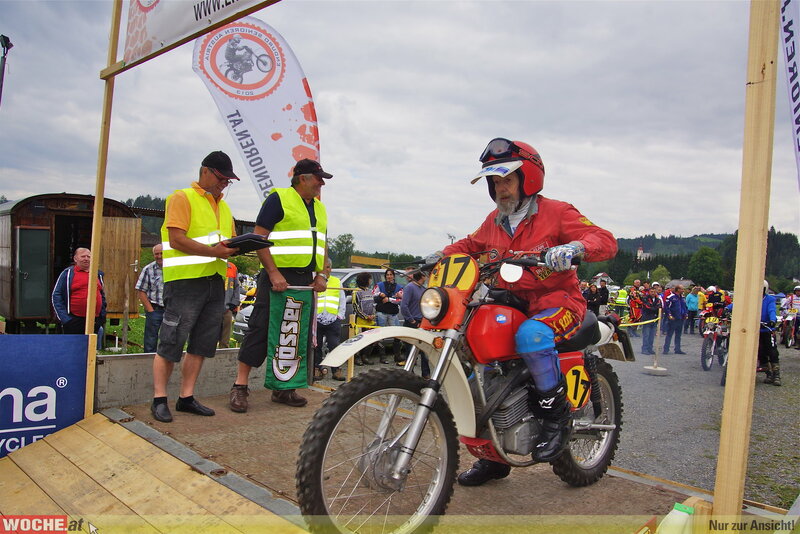 The overall winner and winner of the ‘Muehlner Pitcher’ was Gunther Gerlach from Zschopau, on his SWM. 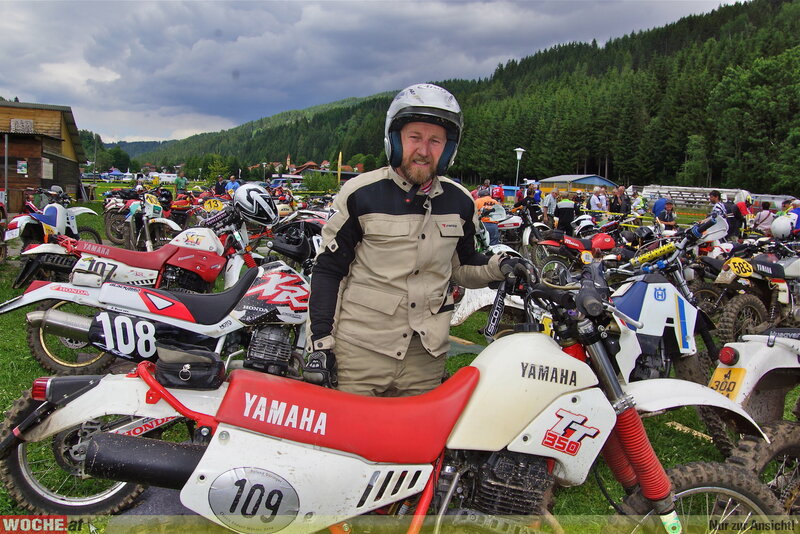 Special guest Roland Daringer turned up on his Yamaha XT again and was on the pace. 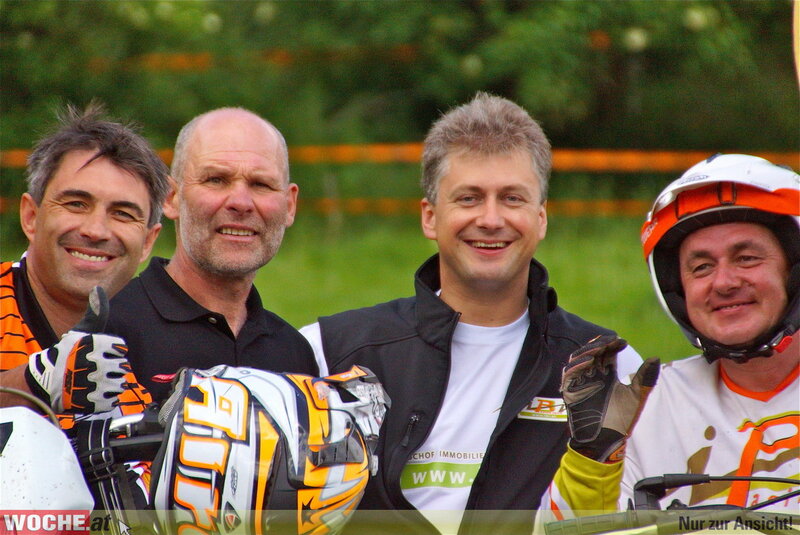 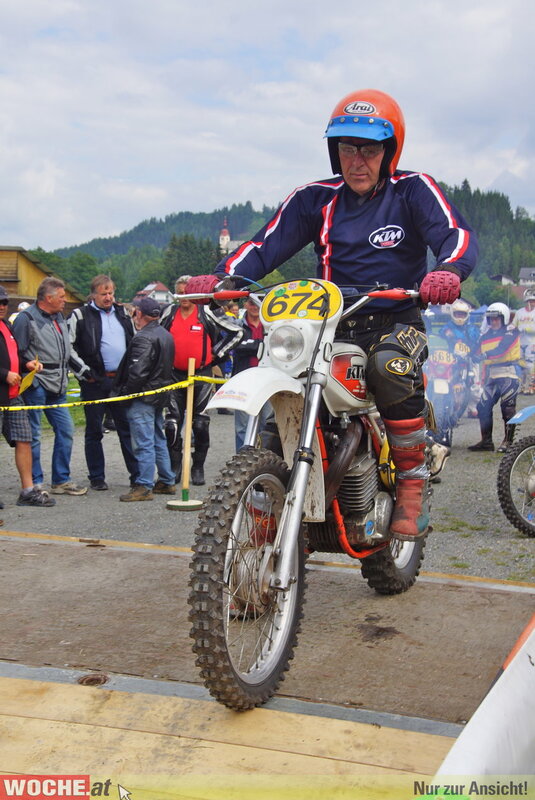 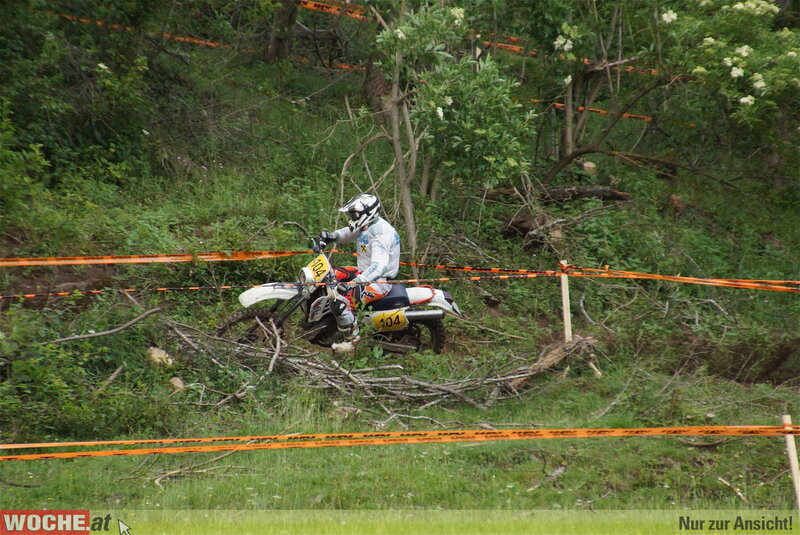 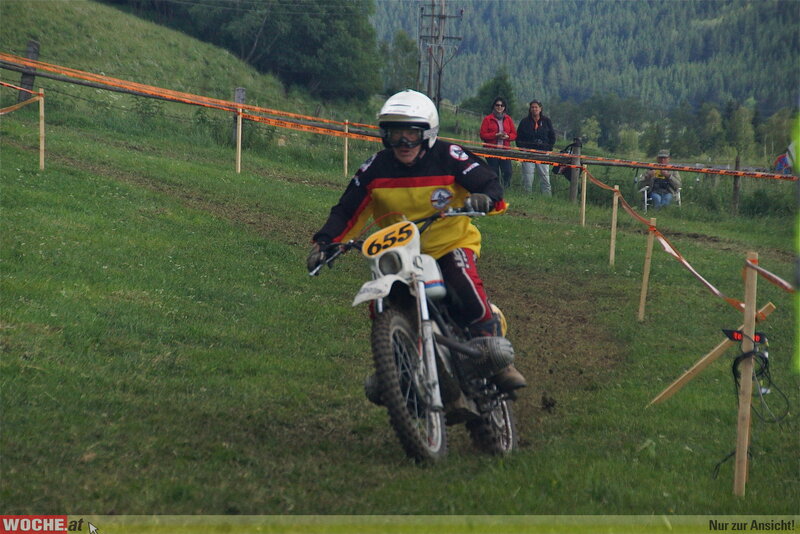 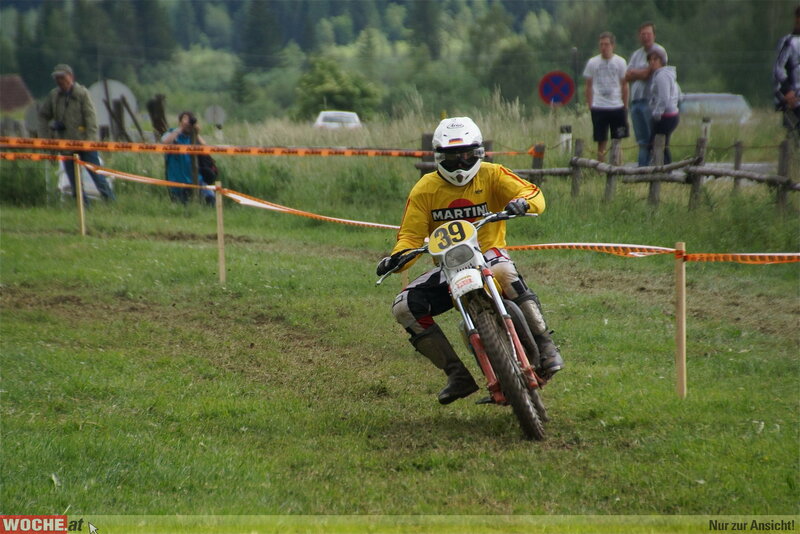 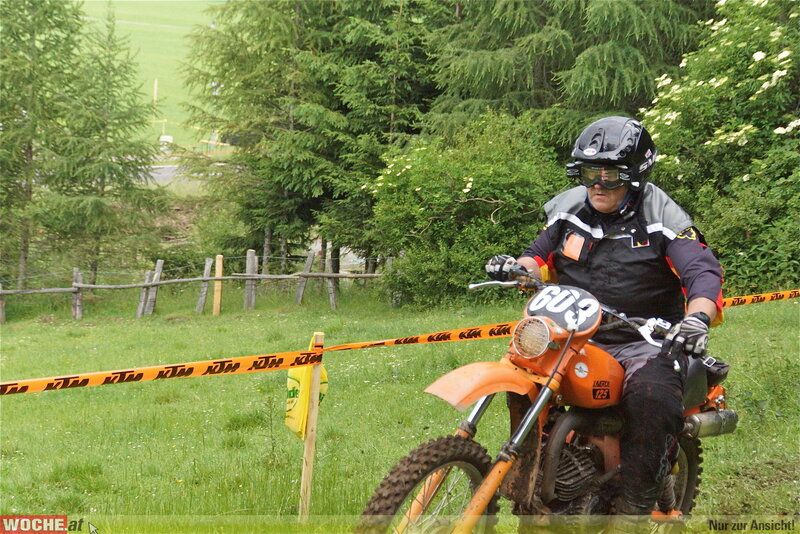 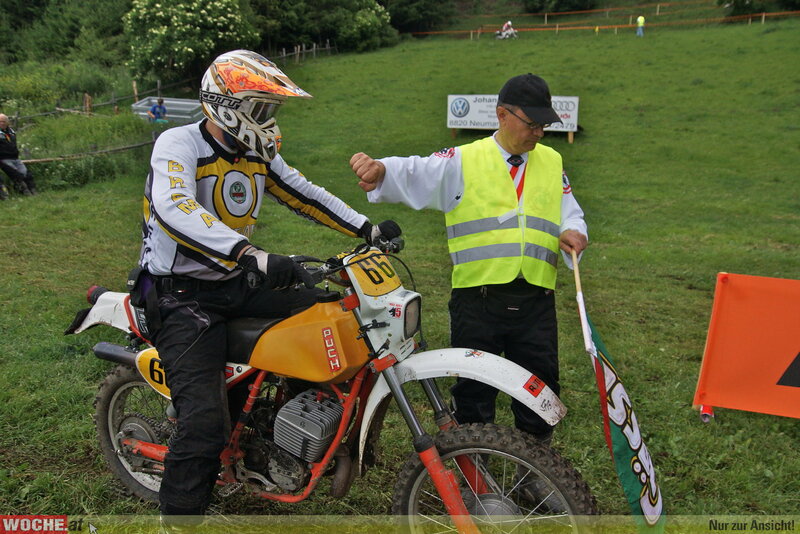 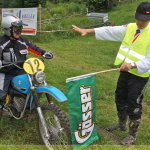 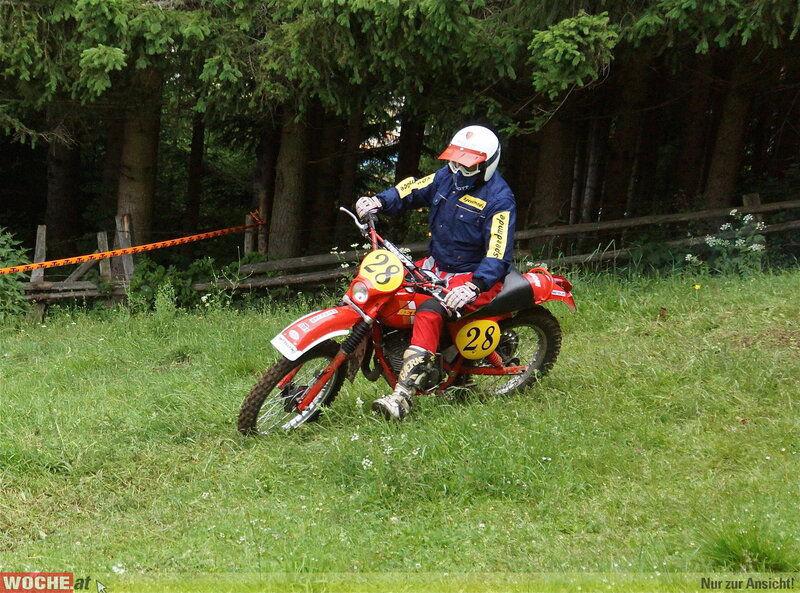 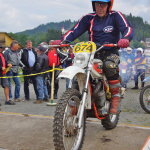 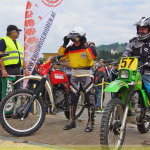 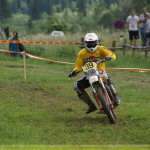 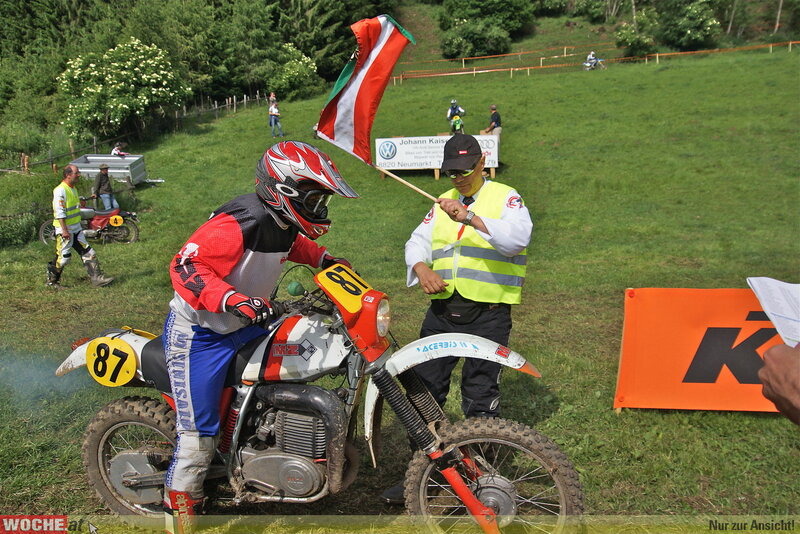 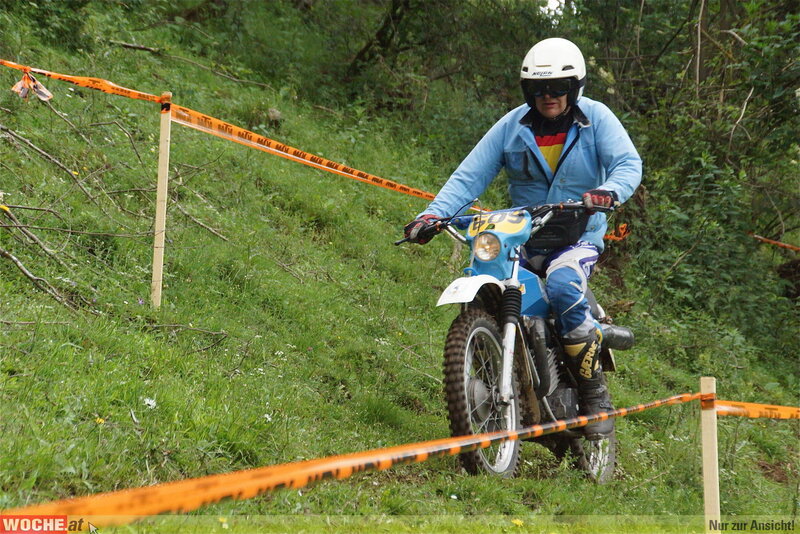 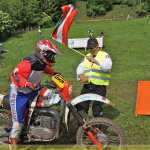 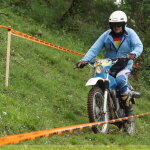 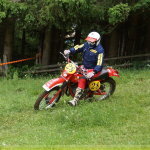 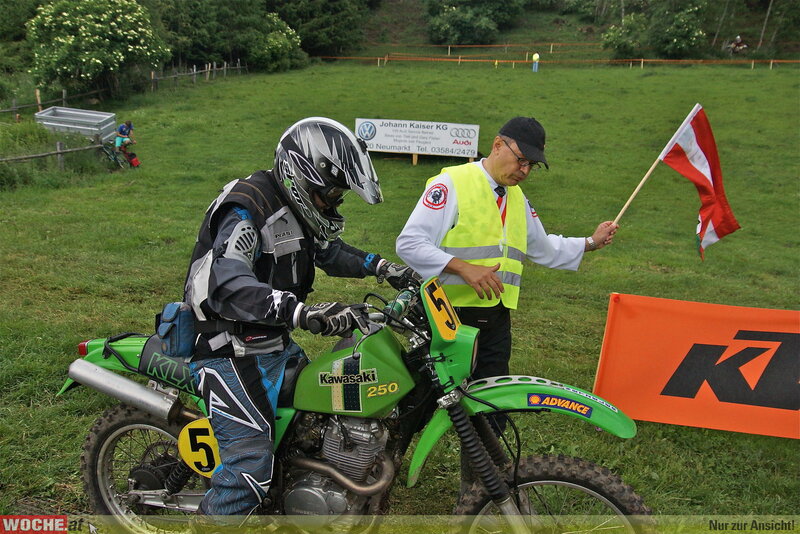 The chairman of the Enduro Austria seniors was very happy with the successful and accident-free event.